Do you need to access your PDFs while on the move? If you have a Blackberry, you can put your PDFs onto your smartphone and take them with you. It only takes a few easy steps to copy your personal PDFs onto a Blackberry from your PC or Apple computer. You will not be able to read a PDF unless you have a PDF reader installed on your Blackberry. You can purchase one if you need to read large PDFs on a regular basis. If you want to look at smaller PDFs, however, you can e-mail the PDF to your Blackberry device. While in the Blackberry mail program, you can view small PDFs. Make sure you know the download limits for attachments first, and be aware that the mail program will only download a single page view at a time. Connect the Blackberry to your computer via USB cable. Make sure the Blackberry is on before you do this. 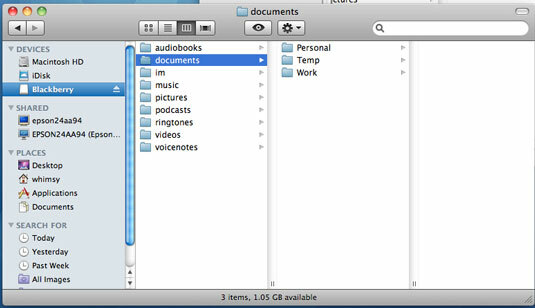 It should appear in your file browser (Finder on Mac or Explorer on Windows) as if you attached an external USB drive. On a PC, you may be prompted to “Open folder to view files,” which will automatically take you to the next step. Navigate to the “documents” folder within the Blackberry. 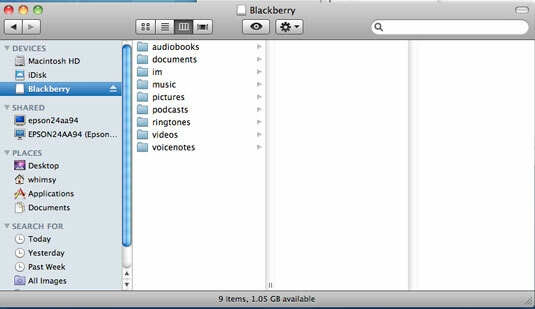 You can do this within your file browser by opening the Blackberry icon/folder, and then navigating to the “documents” folder. 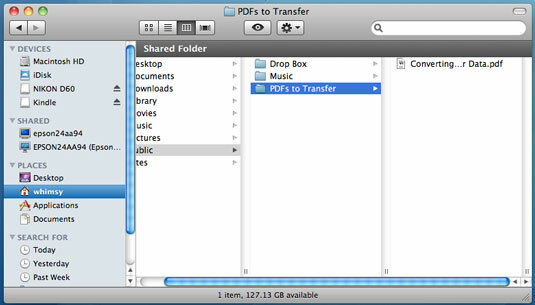 If you have a different destination in mind for the PDF, you can navigate to a different folder instead. 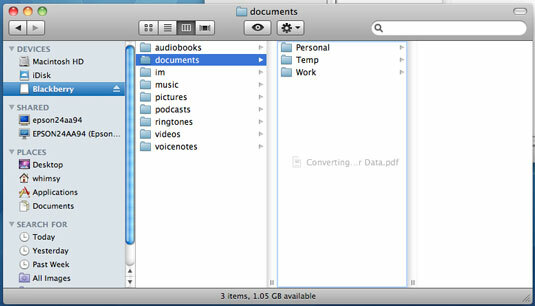 Drag and drop the PDF file from the original location to the Blackberry “documents” folder. If you chose a different destination in Step 3, then drag and drop the file into your preferred location instead.